I keep coming back to Gentoo! 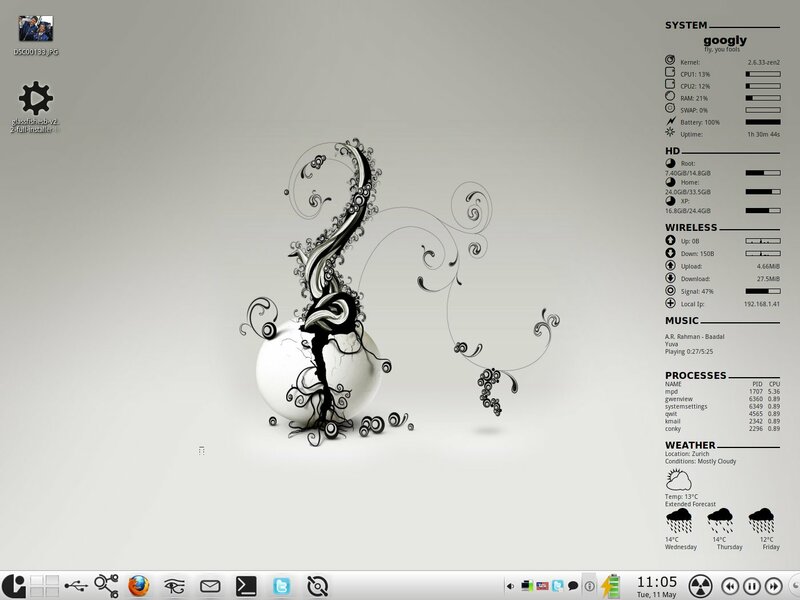 I don’t know why, but somehow after using Gentoo it is impossible for me to use any other Linux Distro. I wanted to try KDE-4.1.1 quickly and I anyhow wanted to do a fresh install of my linux system (for some reason, I like reinstalling Linux) so I just went ahead and burned Kubuntu Ibex Alpha 6. No problems with the installation there, everything was as easy as pi, and then I booted into KDE-4.1.1. The first bootup was slower than an ant, and then there were all these applications installed that I did not want to be there. 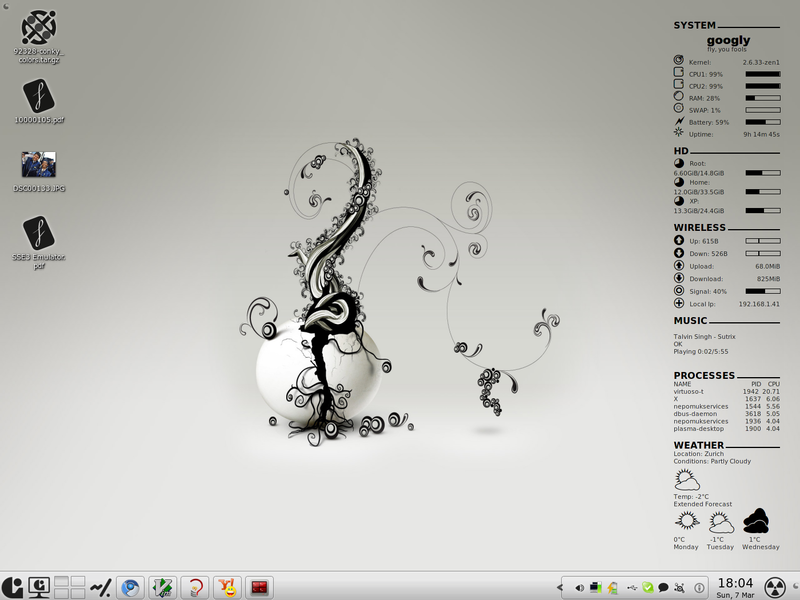 I wanted a pure KDE-4 desktop, no KDE-3.x app, even if that meant some loss in functionality. But, no, that is not Ubuntu’s philosophy. Nothing wrong in that, it is just not what I wanted. But I still wanted to try KDE-4.1.1 for some time, so I installed the necessary codecs and stuff and played around with it for some time. But it just felt so wrong – so unlike Gentoo. Everything was already configured, and in some cases there was no easy way to change the defaults. Most of the configuration in xorg.conf was listed as “Using Defaults” or something similar, how do I know what the defaults are? And then of course there is the fact that it is not a rolling release. And many other small issues, which without being a show stopper, were just as effective as flies and mosquitoes in irritating me. So, I could only tolerate it for 45 minutes and I went ahead and installed Gentoo again. Sure, it took a lot longer than Ubuntu to install (compile 😉 ) everything on gentoo, yet I must say it was worth the wait. 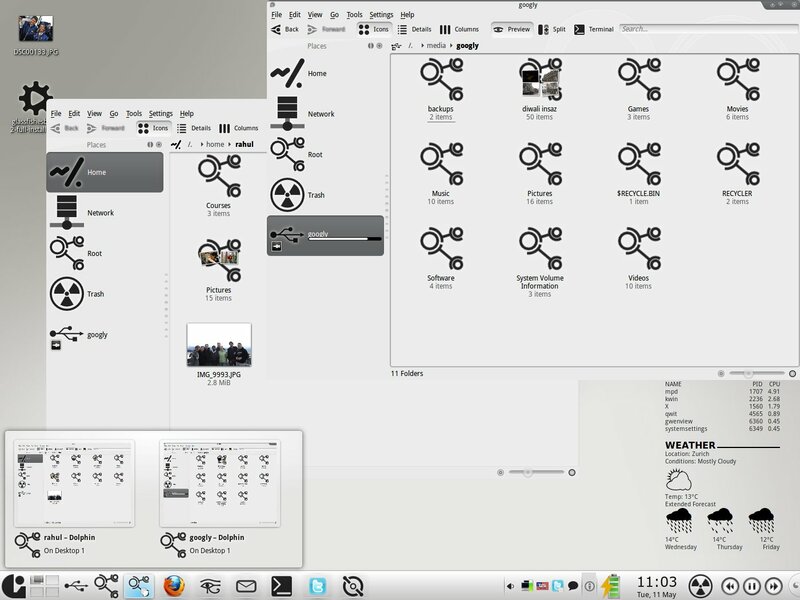 It is so easy to configure everything, just because there are no defaults, or let us say, no sane defaults. I have a resolution of 1280 X 1024 in my terminal, the font rendering is extremely smooth and is easily configurable. And yes, the system is more far more responsive and I have a pure KDE-4 system, there is no kdelibs-3* and qt-3* installed. And in general, portage and all the gentoo associated tools feel better, maybe because I have become more accustomed to them. And final point, I do not have to install g++, it is already installed. The toolchain is already there to compile anything that I want.